The 2019 Taylor Swift Is The Taylor Swift We've All Been Waiting For. Here's Why. 2019 Is The Year You Will Support Taylor Swift. Here's Why. It's going to be her year. Again. Listen, I'm a Taylor Swift superfan, so I know I'm biased. BUT...I'm kind of tired of people wanting to be psuedo-edgy/cool by hating on her. So, if you're on the fence or MEH about her in 2019, let me change that. 1. First and foremost, her music has been — and always be — amazing, beautifully written, boptastic™, and relatable as hell. 2. The relationship she has with her fans is unparalelled. How can you not support someone who treats their fans how all of us want to be treated, when it comes to meeting/interacting with our idols? 3. She's gotten more involved in politics — despite saying it's something that she was always nervous about. Invoking racism and provoking fear through thinly veiled messaging is not what I want from our leaders, and I realized that it actually is my responsibility to use my influence against that disgusting rhetoric. 6. She's gotten candid about her body and the pressures we all face from society. "I learned to stop hating every ounce of fat on my body. I worked hard to retrain my brain that a little extra weight means curves, shinier hair, and more energy. I think a lot of us push the boundaries of dieting, but taking it too far can be really dangerous. There is no quick fix. I work on accepting my body every day." 8. My other favs love her. Your faves love her. Everyone who knows Taylor loves her. I could list like a million tweets/pics tbh, but I won't. 9. She's just, like, a cat lady at heart. She loves her cats and writes songs, like, can y'all leave her alone? 10. Taylor Swift handled her sexual assault case with bravery, poise, and power. She no-doubt inspired countless others. 11. She's put the drama behind her. 12. TAYLOR SWIFT IS FUNNY. She probably has the same sense of humor as you and your friends. Don't deny it. 13. She's a good sister. 14. 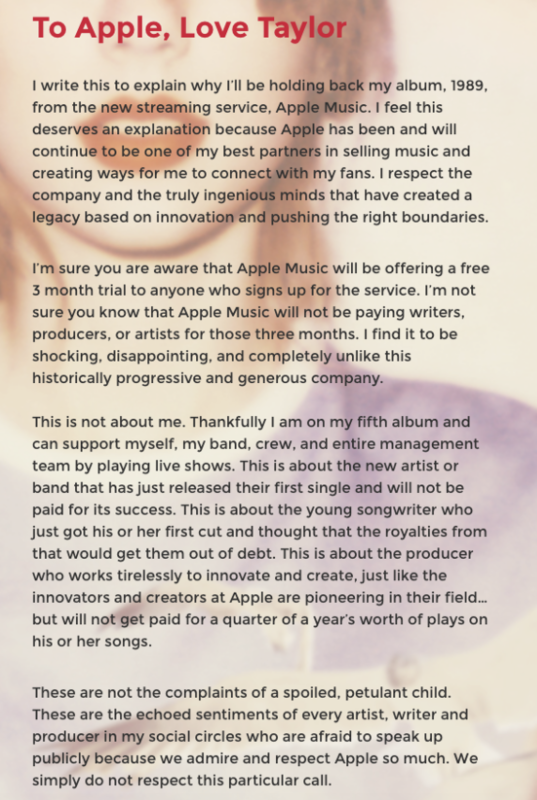 She's always fought for artists, writers, producers, etc. 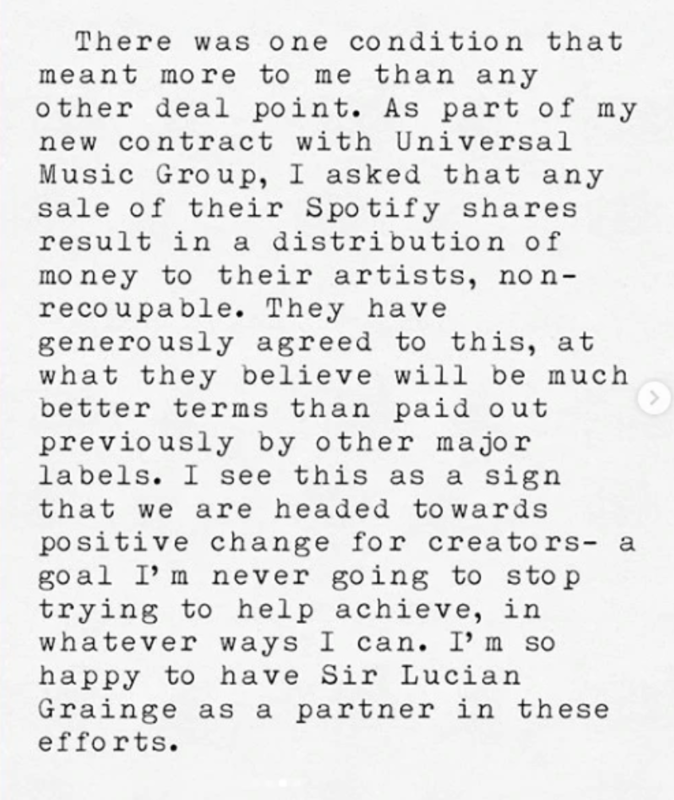 — from her letter to Apple Music to ensuring artists are properly compensated on Spotify. 15. She's a gay icon. Honestly. 17. She makes her music/her releases/her eras MOMENTS. There are clues, theories, Easter eggs, etc. It's just amazing.